Translatology is increasingly interested in the notion of voice, seeking to see how this concept, which has been examined in contexts of theoretical and empirical research as diverse as narratology, musicology, stylistics and feminist criticism, Could shed light on the practice and ethics of translation. 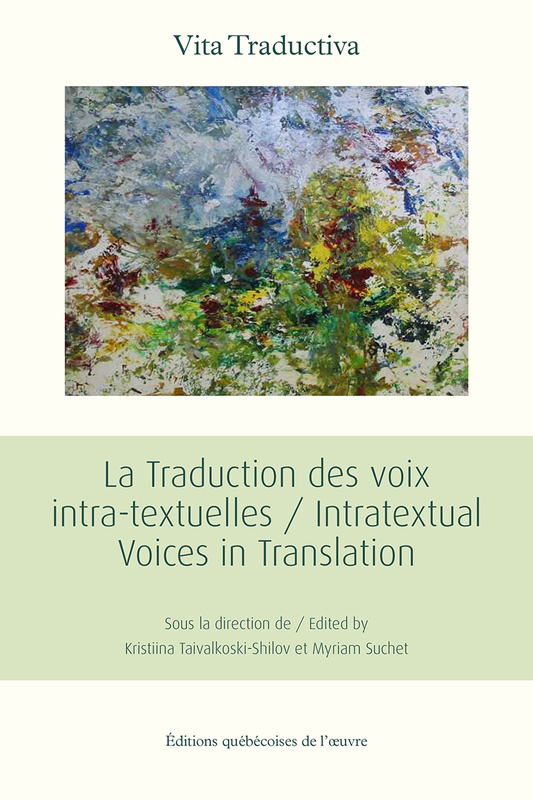 This volume aims to better understand the concept of intra-textual voice. What constitutes an intra-textual voice? What are the challenges of translating intra-textual voices? Can the translation of dramatic replicas help us to better understand the functioning of voice in translation? How does the voice articulate in plurilingual or heterolingual texts? What voice is translated in cases where the identity of the author is problematic? The articles in this volume explore the translation of intra-textual voices into historical and contemporary contexts involving a variety of languages including German, English, Finnish, French, Polish, Persian and Persian. 'Ijaw.